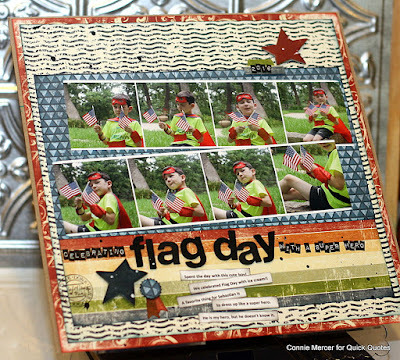 Hi, Connie here with a scrapbook page using the Urban Oasis collection (coming soon) by Quick Quotes. I love the primary colors in this paper. 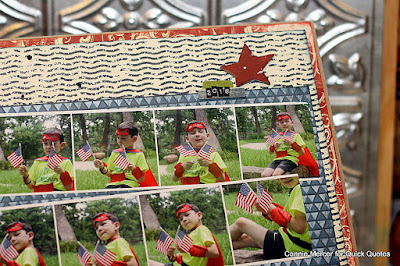 Perfect for that Patriotic page you have been wanting to create. 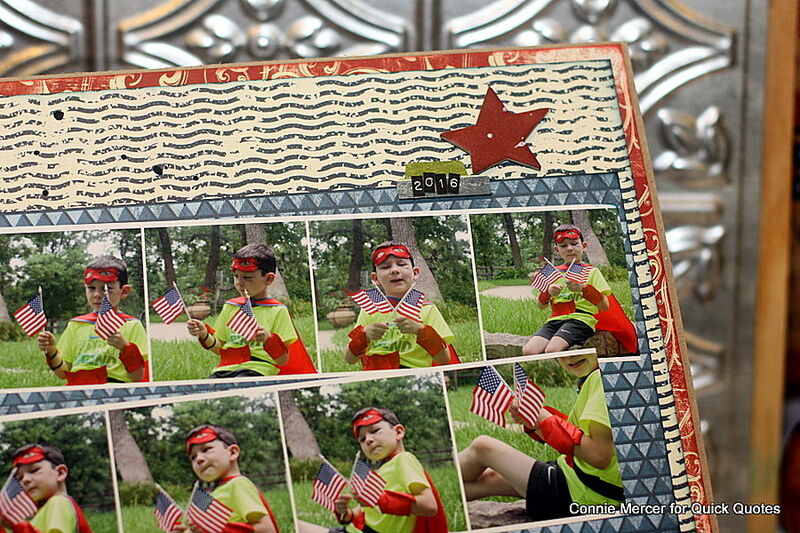 The photo strips were created in Picasa. I had so many cute pictures I wanted to use them all. 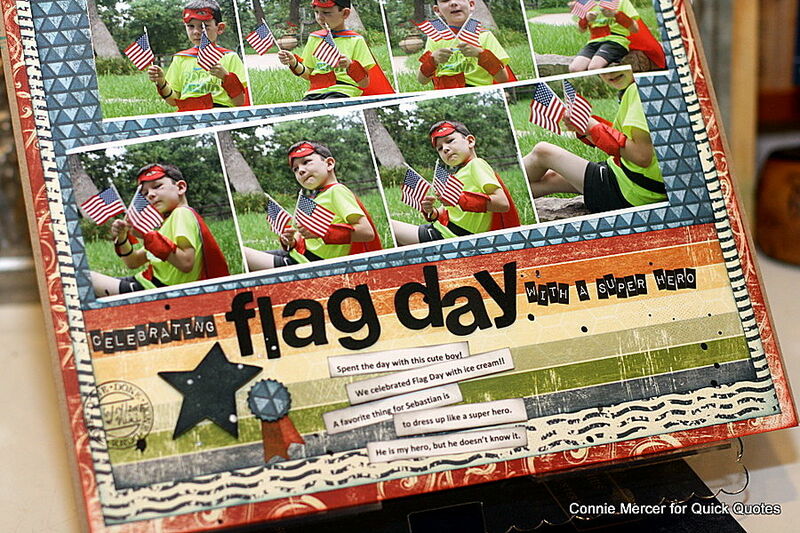 The rainbow colors go great with these themed photos. The chipboard stars are colored with PowderPuff Chalk inks. It really makes the job, of adding color to the chipboard, very easy and a great looking end result. Urban Oasis collection: 100. 102, 103. Stickers, Chipboard Stars, Award Punch and Ink Mist. 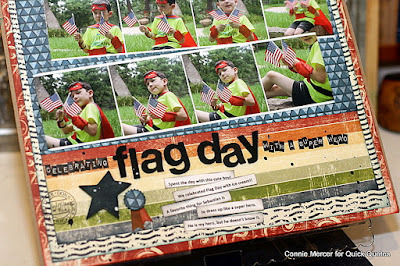 Such a lovely fun page and I love the way you did the wording.